Recently came across and issue with emails and other web pages printing the fonts in an unreadable size. This was not an issue with Internet Explorer or Chrome. Found that this is a fairly common issue that users were experiencing. This is where Firefox AddOns fill the gap. Enter NoSquint. NoSquint allows you to adjust the viewing and printing size of the pages and fonts and alleviates the issue. Installation is simple as clicking on Add To Firefox and allowing Firefox to restart. Controls are handles by the zoom buttons in the toolbar and the Add-on bar on the bottom of Firefox. 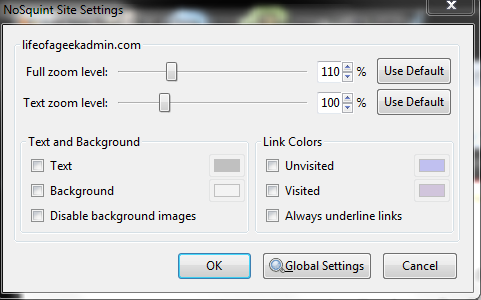 Remember your zoom levels and color settings per site, automatically applying them when you return. Disagree with what NoSquint calls a site? A powerful exceptions mechanism lets you split up or group together sites with URL patterns. Download and install the Add-on and give it a try and see if it resolves your Firefox printing issues. 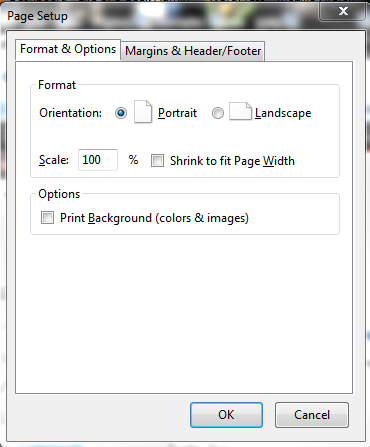 I also found that the Scale setting in Page Setup can also correct printing size. 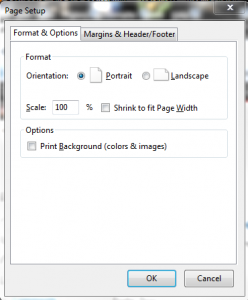 Click File > Page Setup and un-check Shrink to fit Page Width, change the Scale value to 100% and re-check Shrink to fit Page Width and click OK to save the changes will correct the printing small fonts issue.